My husband was telling me about a special experience he was able to witness this past weekend. The team that plays for Daystar’s youth group, VERT, had the opportunity to lead a worship set for an FCA event at Mount Zion on Saturday. Eric was able to watch as people all over the auditorium began to respond to God’s presence as they followed the example of the team on stage. Three individuals ended up coming forward to give their lives to Christ. I do not possess a natural musical talent. I am not one to sing in front of people, I don’t read music, I’m not familiar with the technical needs, and I don’t play a musical instrument. But you don’t need any of those things in order to see that the heart of the worship teams at Daystar is to lead people to worship Christ. No matter your background, whether you’ve lead worship in front of thousands or whether you are just learning your instrument, every person goes through the same process to be part of this community of worshipers. Applicants are asked to go through Growth Track on Sunday mornings, fill out an application, audition, and then work with the leaders at Cultivate. Cultivate is a very special opportunity that allows musicians to discover the unique culture that is the Daystar Worship team. The length of time that one is in Cultivate varies from person to person. There is training available for each instrument and technical responsibility. There is a time of worship, a time to gather to encourage others, and a time for teaching from the Word. Being part of Daystar Worship isn’t about giving someone a chance to shine on stage, it is about bringing glory and honor to the name of our Lord and Savior, Jesus Christ. Cultivate apprentices leading worship for the rest of the team. Being a member of the Daystar Worship teams requires a significant sacrifice of time. 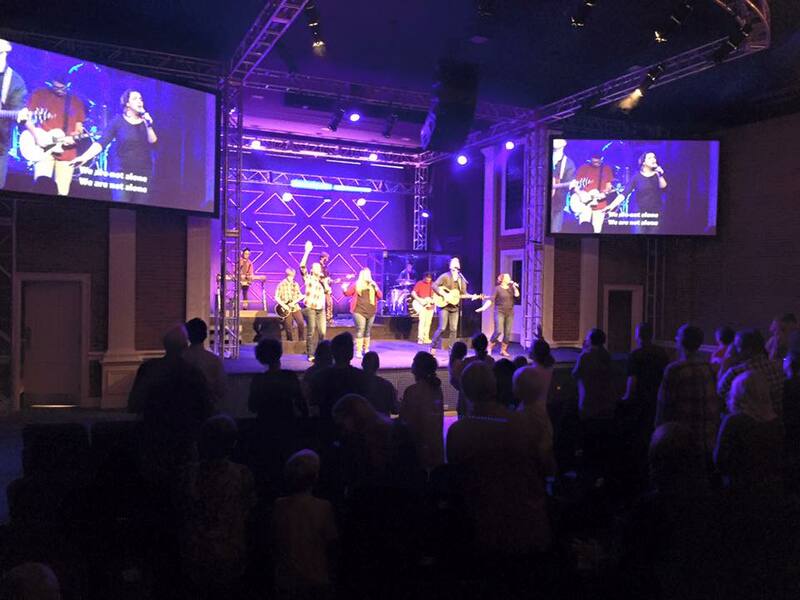 In addition to leading worship during services (including Sunday mornings, Sunday night, the high school and college ministries, and special events), the team is required to attend rehearsals on Thursday nights and set up and tear down the stage at the portable campuses. It’s a lot of work, but it’s easy to see why they do it. There is such a great fulfillment of purpose in seeing people give themselves in worship, and ultimately give their lives to following Christ. To everyone who has a part in Daystar Worship, whether on stage or off, thank you. Thank you for your hard work and your sacrifice. Thank you for using your lives to bring glory to God. Daystar Church simply wouldn’t be the same without you.